This 8.5oz. 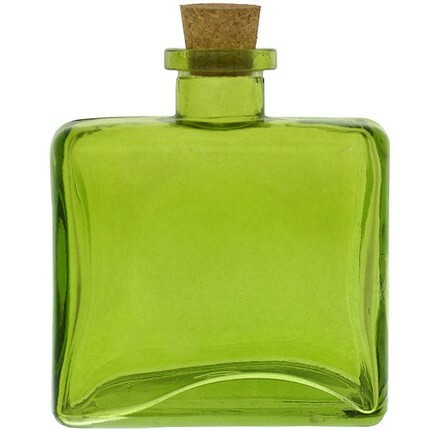 matic glass diffuser bottle is lime green in color. It stands 4 1/4" high and the opening is 3/4". This thick glass bottle is very high end !